The Arcadia plant produces up to12 million boxes of oranges (and occasionally grapefruit) annually. 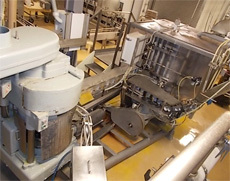 The facility includes a juice extraction room that is JBT designed with computerized controls covering the entire process from incoming fruit to pasteurization and evaporation. 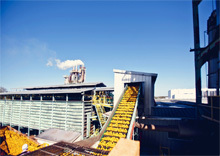 The plant features a new JBT Premium Pulp System. Evaporation capacity is 160,000 pounds per hour utilizing one 80,000 pound and two 40,000 pound evaporators. There are two not from concentrate juice pasteurizers. For concentrate blending, there are six 5,000 gallon swept surface cold wall stainless steel blend tanks and an enclosed drumming area with positive air pressure. Laboratory: Full quality control lab including micro testing capability and gas chromatograph. Storage: Freezer space for 13,000 drums; tank farm for 14.5 million gallons of not from concentrate juice and 7.4 million gallons of concentrate; cold room space for 168,000 gallons of cold pressed oil and essence oil storage. Feed Mill: 40,000 pound feed dryer with a 60,000 pound waste heat evaporator. Waste Treatment: 3 oxidation ditches with a 5 day holding pond and a 211 acre tree nursery for final water re-use and reclamation, approved by all regulatory agencies. The Bartow plant produces up to 8 million boxes of grapefruit, mandarin and orange varieties annually. 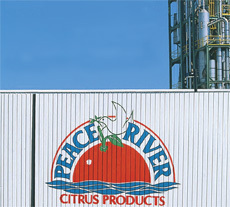 The facility includes 32 Brown Citrus Systems extractors. The evaporating capacity is 145,000 pounds per hour utilizing one 60,000 pound, one 40,000 pound, one 30,000 and one 15,000 pound evaporators. The plant uses a Brown Premium Pulp System. After extraction, the juice is either concentrated or pasteurized and then transferred to tanks or drums. For concentrate blending, the plant has eight 5,000 gallon and two 3,000 gallon swept surface cold wall stainless steel blend tanks and an enclosed drumming area with positive air pressure. Laboratory: Full quality control lab including micro testing capability. Storage: Freezer space for 55,000 drums, tank farms for 7.9 million gallons of concentrate and 6.0 million gallons of not from concentrate juice. Feed Mill: 30,000 and 60,000 pound feed dryers with a 120,000 pound waste heat evaporator. Waste Treatment: 400 acres of spray field for water re-use and reclamation approved by all regulatory agencies. The Labelle Packaging Facility produces multiple packages in the frozen retail category. The packages are 24/12oz, 24/16oz, 12/12oz and 12/16oz composite cans sold to many grocery stores with assorted flavors such as concentrated Orange Juice, Apple Juice, Lemonade, Limeade, Grapefruit Juice, Grape Cocktail, and Fruit Punch. The facility is also equipped with a freeze tunnel that can reduce the temperature of the product from 35 degrees Fahrenheit to 5 degrees Fahrenheit in just 90 minutes. The can seamer and freeze tunnel produce approximately 720 (24/12oz) cases per hour or 3.4 million cases annually. The Labelle facility also produces several packages for the Food Service program. This includes many different flavors that are packaged into bag-in-box, plastic bottles/caddies and 32oz and 64oz pure pack cartons. Storage: 28,000 square feet of freezer space for cases produced; drum storage for ingredients used in producing cases and drums for customers; 4 million gallons of bulk concentrate storage. The Frostproof facility is a vital part of our storage and distribution operation where orange concentrates and frozen orange and grapefruit pulp cells are held for future shipment. 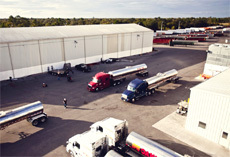 The facility offers flexible tanker and box truck loading and unloading capabilities. Laboratory: Full quality control lab. Storage: Approximately 75,000 square feet of freezer space for up to 56,000 drum equivalents (which include racking for carton storage); tank farms for 5.4 million gallons of concentrate; 20,000 square feet of active dry storage. Due to insurance restrictions, we are unable to provide tours.